Existing customers are, in some regards, an even better source of potential revenue than a new customer might be. Why? Well, all the heavy lifting is already done – you’ve established a relationship, shown them how great your product or service is, and earned their trust. Why not build on that existing relationship to create further business? 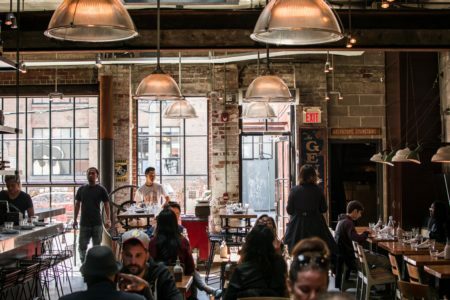 Here are a few ways you can help to foster new business from existing customers. What kind of product or service does your company offer? Chances are it doesn’t exist in a vacuum. We’ve talked before about anticipating the needs of customers, but there are plenty more ways to consider. For example, as a single dad of a toddler I don’t have much time to clean to my standards, so once a month I employ the services of a local cleaning company. However, the company doesn’t deal strictly in cleaning: they also employ repair personnel, plumbers, and even provide furniture-building services if you don’t feel like putting together that IKEA shelving unit. The company gets the word out to existing customers about these additional services by leaving pamphlets at the end of cleaning sessions and through regular email blasts to existing customers. This is a great way for them to position themselves in the long term by anticipating their needs in advance. If your product performs best when serviced after 4 months of use (e.g. an appliance), schedule an activity for the customer in Method when that product is purchased to make sure you anticipate the service needed ahead of time. 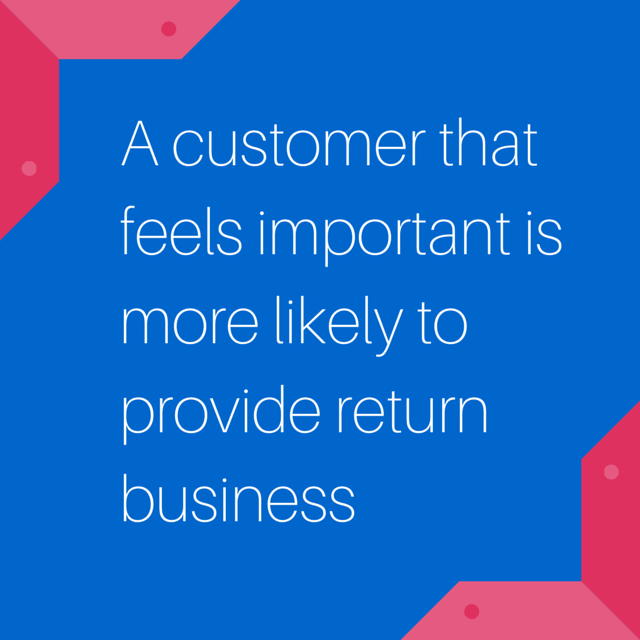 A customer that feels important is more likely to provide return business (and also to recommend your product or service to potential leads!). Don’t feel bad about providing some preferential treatment to your loyal customers. Here’s one you’ll be familiar with. Many coffee shop chains offer a variety of “keep coming back” promotions, like “buy nine coffees and the tenth is free”. Also consider the popularity of “members-only” reward clubs wherein customers earn points towards future purchases – long-term rewards can often translate into consistent return business! Ultimately, what keeps customers coming back is their satisfaction with your company. 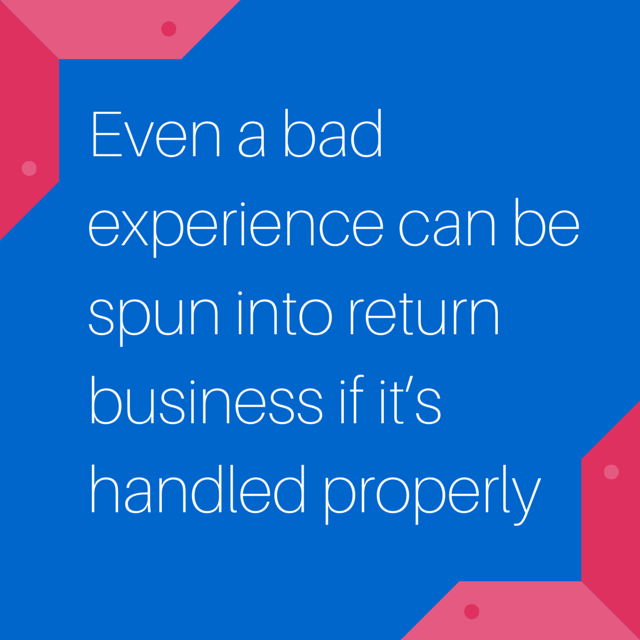 However, even a bad experience can be spun into return business if it’s handled properly. As a customer, my impression of a business isn’t just determined by how well they do their job – it’s also how they deal with screw-ups on their end. team made themselves accountable for my issue. Their turnaround time was exemplary, and they guided me step-by-step through the return and refund process – even comping the shipping costs for the return! I won’t buy that brand of boots again, but I definitely recommend MooShoes as a retailer because of the way they turned a frustrating experience into a satisfying conclusion almost overnight. It might be tempting to think of generating additional business from existing customers as milking a stone, but that’s just not the case – instead, you should think about it in terms of the old fairy tale about the goose who laid golden eggs. If you treat your customers the way you always have (with respect, with great service, and with products and services they can rely on), they will continue to support your business for a long time to come. What are your strategies for bringing business back? Leave them in the comments, or drop us a tweet!